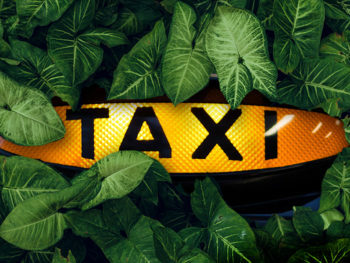 Black cab ride-hailing app Gett is launching a major new initiative to deliver carbon-neutral rides as the firm also gives passengers the option to go ‘carbon positive’. Said to be a UK first, the partnership with the Carbon Clear scheme will offset Gett’s yearly CO2 emissions from both consumer and business rides, equating to some 7,500 tonnes of CO2. This will be carried out through various accredited and recognised global energy solutions that take urgent action against climate change. Additionally, Gett will give its London black cab customers the opportunity to ride ‘carbon positive’ through a voluntary donation of 20p extra per ride, which will be donated to the 12 central London schools identified in the Mayor of London’s school air quality audit programme. Gett’s efforts to further reduce its carbon output also see the firm support the adoption of LEVC TX electric taxis in London, Coventry, Edinburgh, and Glasgow, for example through reduced commission schemes for cab drivers using the Gett app.